Tuition fees are paid by the term, if you are joining part way through the term, the fees will be pro-rated to just include the lesson’s your child will receive for the remainder of the term. Invoices are forwarded to you once your child’s membership form has been processed and your position has been confirmed. Your child’s class position will roll-over to the next term and you will be forwarded an invoice in week 8 of each term. Two weeks notice must be given for withdrawal from the program. Premier Membership covers registration and insurance and is charged at the time of joining and is then renewed in January each year. If your child misses a class you are able to book a make up lesson for them in the equivalent class. Make up lessons must be booked through the office and used in the same term as the absence. There are no credits applied for missed classes. Tuition fees are paid by the month, with 12 equal monthly payments each year. The monthly fee is calculated by working out the total amount of training weeks in the year, and dividing that total by 12. Invoices are issued on the 15th of each month and are due for payment on the 1st of the following month. Please ensure your child’s fees are up to date to ensure there is no interruption to their training. A Member Services officer will select a suitable class or squad for your child based on their ability and existing vacancies. Gymnasts may join at any stage through the year if there is a vacancy in the class. You’re welcome to contact us to discuss any aspect of membership or your child’s participation in gymnastics. Below is a general list of policies for Premier Gymnastics. For our complete policies and further information please refer to the Parent Section for Members on this site or the Premier Gymnastics Membership Booklet. Premier Gymnastics is committed to providing a sport and work environment free of discrimination and harassment, where individuals are treated with respect and dignity. The Club will not tolerate discriminatory or harassment behaviour under any circumstances and will take disciplinary action against anyone who breaches this Policy. Premier Gymnastics Club is committed to ensuring that the safety, welfare and well being of children are maintained at all times during their participation in activities run by the Club. We encourage a friendly and supportive environment for all gymnasts and parents/guardians. Please ensure you and your children treat all staff and fellow members with respect and courtesy at all times. Bullying will not be tolerated within our program and parents and gymnasts must display at all times good sportsmanship and positive communication in relation to all aspects of the club in relation to business, staff, programming and culture. Failure to do this at any time will result in cancellation of membership. If you need to ask your child’s coach a question, give them information or gain feedback about your child’s participation in our program, it is important that you do so at an appropriate time. For small, quick matters you may talk to coaches directly before or after class. We encourage parents to contact the office to arrange an appointment with your child’s coach or coordinator. On some occasions your child’s coach may be unavailable to take their class. While we do our best to keep consistency of coaches, we reserve the right to change coaching staff without notice. Please note: All gymnasts should wear shoes and socks to and from the gym. 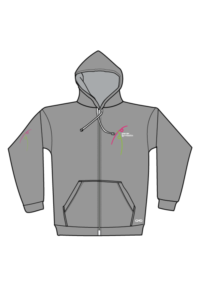 If it is cold we request that they wear warm clothing to and from training. We strongly suggest that you label all clothing and equipment with your child’s name. Bayside venue lost property is located in a basket near the lockers and Brisbane venue lost property is located at the pool. Sometimes valuables such as watches, jewellery, hand guards etc. may be kept in the office for collection. The club accepts no responsibility for any items left behind at the gym. We strongly advise that you do not bring valuables to the gym. Premier Gymnastics is strictly a NUT FREE zone. All nuts and legumes must not be consumed whilst in our venues, including items that contain traces of nuts eg: muesli bars. We recommend that a snack of carbohydrate-rich foods be consumed up to one hour prior to class. Classes 2 hours and under in length do not generally stop for a food break, however your child is welcome to snack during drink breaks on small items such as fruit or veggie sticks. Sweets Note: Traditionally sweets, chocolates and soft drink have been considered to be instant energy and as such, were consumed before training or major events. In fact this practice has the reverse effect and can cause early fatigue. Fluid intake before, during and after exercise is essential for all athletes. We recommend that all gymnasts bring their own drink bottle to class. We allow drink breaks every 15 – 20 minutes for water consumption only. There are cooled water fountains at both venues for gymnasts to refill their bottles. We also recommend 2 glasses prior to and continued consumption of water after class for optimum fluid replacement. We encourage that only water is consumed during your child’s lesson. Sports drinks are not recommended. Starting on time means that all athletes will get the most out of their class. Please be prompt to class. Warm ups at the beginning of each class are vital to the teaching of basic body positions, stretching, as well as fun, fast games and socialization. Where possible arrive 5 minutes prior to the start of class. Please stay with your child until they are called by their coach, at no time are children to be dropped off early and left unsupervised. Gymnasts must be collected from the foyer of the gymnasium and SHOULD NOT wait outside the venue. 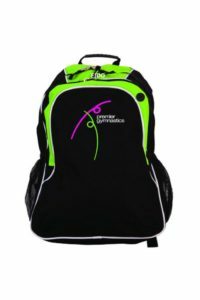 We would love you to be part of your child’s gymnastics journey but we do ask that you respect our coaches ‘classroom’. Parents are most welcome to stay for classes up to 1.5hr in duration. However for classes 2 or more hours we ask that you arrive 10 minutes prior to the end of class to collect your child. Viewing days for all classes are permitted in the last week of every month. You are welcome to stay for one entire lesson during this week. We also ask that you please ask for the coaches permission to video training at any time. We at Premier welcome feedback positive and negative regarding our program and the services we offer. We would appreciate this feedback given directly to management or head coaches only. Please avoid discussing issues you may have with other club members. Please inform our administration staff at the office as early as possible if your child is not attending class. They may then inform the coach responsible and therefore little interruption may occur to class. At Premier Gymnastics we try to minimise the risk of injury to our members. Treat the injury if possible or call for assistance. If the injury is severe, an ambulance will be called immediately. Fill in accident report form. 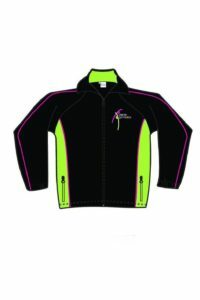 A leotard is recommended for training however, it is not compulsory. Any form fitting clothing free of buttons and clasps is also a great option Eg. Bike pants or leggings with a t-shirt or singlet. 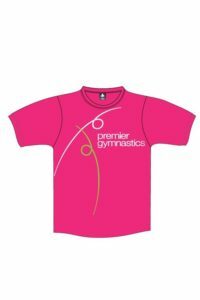 We do have a Premier Gymnastics training leotard available from our leotard provider Sylvia P Sportswear, please contact the office for ordering details. 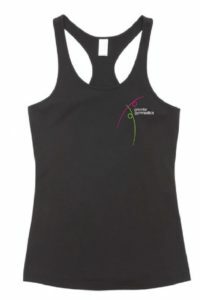 An optional Kindergym t-shirt is available from GMD Direct. 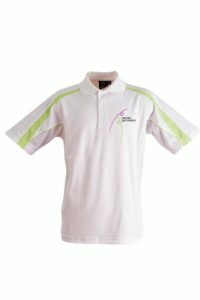 Other uniform items and additional items can be ordered from GMD Direct.